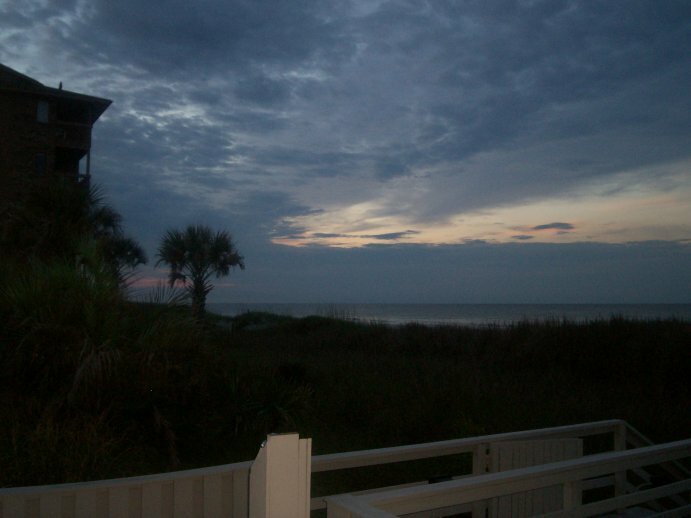 We visited Myrtle Beach again this year. 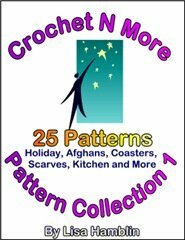 I wish to purchase a crochet pattern for an afghan I wish to make for a friend. He is a big San Francisco 49ers fan. If anyone has a S.F. 49ers crochet afghan pattern, I would love to hear from you. a couple of years ago and loved how it worked up. You can email them. The beginning of strife is like letting out water, so abandon the quarrel before it breaks out. He who justifies the wicked, and he who condemns the righteous, both of them alike are an abomination to the Lord. Why is there a price in the hand of a fool to buy wisdom, when he has no sense? A friend loves at all times, and a brother is born for adversity. A man lacking in sense pledges, and becomes surety in the presence of his neighbor. He who loves transgression loves strife; he who raises his door seeks destruction. He who has a crooked mind finds no good, and he who is perverted in his language falls into evil. He who begets a fool does so to his sorrow, and the father of a fool has no joy. A joyful heart is good medicine, but a broken spirit dries up the bones. A wicked man receives a bribe from the bosom to pervert the ways of justice. Wisdom is in the presence of the one who has understanding, but the eyes of a fool are on the ends of the earth. A foolish son is a grief to his father, and bitterness to her who bore him. It is also not good to fine the righteous, nor to strike the noble for their uprightness. He who restrains his words has knowledge, and he who has a cool spirit is a man of understanding. Even a fool, when he keeps silent, is considered wise; when he closes his lips, he is counted prudent. And the Lord's bond-servant must not be quarrelsome, but be kind to all, able to teach, patient when wronged, with gentleness correcting those who are in opposition, if perhaps God may grant them repentance leading to the knowledge of the truth, and they may come to their senses and escape from the snare of the devil, having been held captive by him to do his will. "TWO CANNOT QUARREL WHEN ONE WILL NOT." This quote is from Our Daily Bread - June, 2008 Issue. According to 1 Timothy 3:8-10, what are the qualifications of Deacons? If your hands bother you when you crochet, try putting pencil grips on your larger crochet hooks to help reduce the strain on your hands. do you have number 51? 48. Here's an idea my 7 yr old granddaughter thot of. I had so many small balls of yarn left over, as many do. I've made quite a few scrap lapghans, baby blankets, etc with them, I was tired of doing yet another one. She thot of putting them on a picture frame. She loves to make chains out of the varigated colors. I had bought a few of the inexpensive wooden frames and let the kids paint em. Then they all made chains and trailed em loosely, curly, etc over each and around the frames and made bows, circles and whatever on the bottom, top, corners, etc. glueing em to the frames. They turned out just too cute. That's an idea you might like to share. 49. If I have long enough pieces, I use them for replacement strings for my blinds and light pull chains, I usually chain the length I want it. 50. 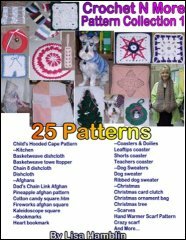 I make 12 inch granny squares and have sent them to charitable orgranizations so they can stitch them together as afghans to give to those in nursing homes or those in hospice. I crocheted caps for children in the homeless shelter. Some are multi-colored or solid but the kids loved them. The director was thrilled to have caps to give the kids during the winter. Your page is wonderful and I would like to join you. HI LISA, I JUST WANTED TO KNOW WHAT SIZE WOULD THE SKIRT BE? The "space" is normally the hole below a series of one or more chains. It can also be a space in between the posts of two stitches. This means you work the indicated stitches in the space before the next double crochet. Like I said before... this could be in a space below chains or in between the posts of two stitches. >>2dc what does that mean. Not sure about where the 2dc come in though. Your peonies are ahead of mine- They look beautiful, and so does the sunshine in your photo- I have a rainy day here, and you know that means my peonies will be lying on the ground!! I learned a great trick last year to enjoy peonies in the home. I had tried in the past, but you know how the ants are attracted to them, so some always came in, even though I thought I had searched the flower heads thoroughly. I had read that if you cut the flower, just before it is ready to burst into full bloom, not only will you be able to avoid the ants, but the flowers will blossom and last a lengthy stay in the home. Yes, you could do that as long as you string enough beads for the project. I don't see any errors but in row 2 you said: Ch1, do not turn. Sc in BL of ea sc around. What is BL? BL means the back loop. The front loop (fl) is the loop closest to you. and you preach about jesus,,,,wonder if you get a cut off the top from selling,,,would your table be one toppled? 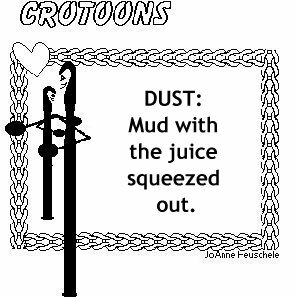 from the Crochet N More Newsletter mailing list. Each issue does contain links to other sites that sell things and those links do come prior to the actual link to the newsletter. You are not obligated to click those links. However, when people purchase through those links I do get a small commission for the sale which in turn helps me keep Crochet N More online. You do not have to be on the newsletter mailing list to view the newsletters. While flying from Denver to Kansas City, Kansas, my mother was sitting across the aisle from a woman and her eight-year-old son. Mom couldn't help laughing as they neared their destination and she heard the mother say to the boy, "Now remember -- run to Dad first, then the dog." "I'm returning these glasses I bought for my husband. He's still not seeing things my way." A cowboy rode into town and stopped at the saloon for a drink. Unfortunately, the locals always had the habit of picking on strangers, which he was. "Which one of you sidewinders stole my horse?" he yelled with surprising forcefulness. "Alright, I'm gonna have another drink, and if my horse ain't back outside by the time I finish, I'm gonna do what I dun in Texas! And I don't like to have to do what I dun in Texas!" The man, true to his word, had another drink, walked outside, and his horse had been returned to the post. He saddled up and started to ride out of town. "Say pardner, before you go...what happened in Texas?" The wife was busy frying eggs, when her husband came home. He walked into the kitchen and immediately started yelling. "CAREFUL!!! CAREFUL! MORE OIL! TURN THEM! TURN THEM NOW! WE NEED MORE OIL! THEY ARE GOING TO STICK! CAREFUL! CAREFUL! TURN THEM! TURN THEM!!! HURRY UP! ARE YOU CRAZY! THE OIL IS GOING TO SPILL! USE MORE SALT! THE SALT!!" The wife was very upset, "What is wrong with you? Why are you yelling like this? Do you think I don't know how to fry an egg?" "I just wanted you to know what it's like for me when I am driving the car and you're sitting next to me." "It goes without saying that you should never have more children than you have car windows." At a local coffee bar, a young woman was expounding on her idea of the perfect mate to some of her friends. "The man I marry must be a shining light amongst company. He must be musical. Tell jokes. Sing. And stay home at night!" An elderly lady overheard and said, "Honey, if that's all you want, get a TV!" "I'm not aware of your problem," the doctor said. "So perhaps, you should start at the very beginning." "Of course," replied the patient. "In the beginning, I created the heavens and the earth..."
Shouting back, the woman replies, "For crying out loud, I've been telling you for the last half hour...I'll be ready in a minute!" A strained voice called out through the darkened theater, "Please, is there a doctor in the house?!" "Good, are any of you doctors single and interested in a date with a nice, girl?" “What are you so happy about?” a woman asked the 98-year-old man. “I broke a mirror” he replied.